A 200 words abstract should be prepared in English and submitted via EasyChair by February 15, 2019. In order to create an EasyChair account please visit EasyChair Home Page. 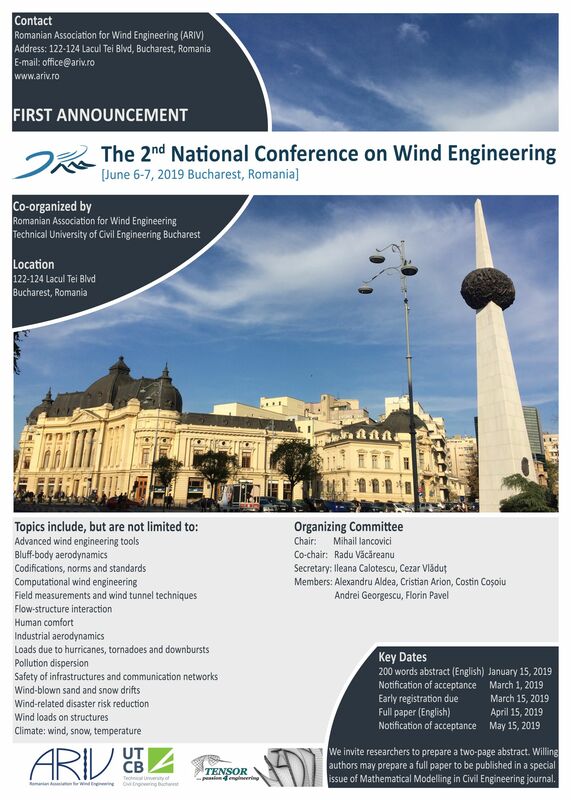 Authors with accepted abstracts may prepare an extended abstract of 2 pages to be published in the Proceedings of 2NCWE. Willing authors may prepare a fulll paper of more than 12 pages which will be peer-reviewed and published in a special issue of Mathematical Modelling in Civil Engineering Journal http://mmce.rs.utcb.ro/. The papers should be prepared in English language according to the provided template and uploaded in pdf format.